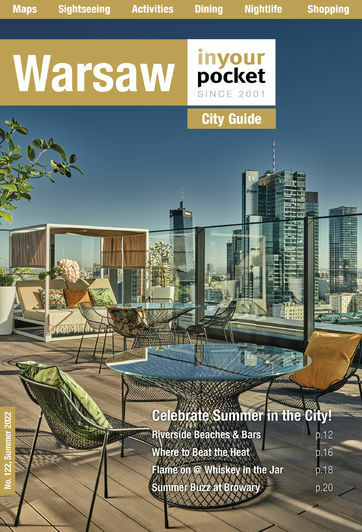 The explosion of bars and clubs in Warsaw over the last few years means that you are never far from a fresh beer or decent nightspot. On the other hand, it's still easy to find yourself stranded outside the bolted doors of a supposedly popular club on a Wednesday night, or staring into the bottom of a pint glass in a deserted bar. Local knowledge, trends and the Superman-like ability to scoot across town in a flash (“Taxi!”) are prerequisites to achieving a successful night out. But that’s why you have us. The new money crowd have certainly found a home amongst the posh eateries and glamorous nightclubs around Pl. Piłsudskiego and Pl. Teatralny; keep in mind, however, that clubs in this area have such strict door policies that it may be easier to get out of a mobile phone contract than get in for a drink and a boogie. Warsaw's young arty crowd prefer the down-at-heel clubs and bars that have popped up in the districts across the river: Stara Praga and the fashionable and increasingly gentrified Saska Kępa. Opening hours listed here should only be treated as rough approximation; in practise many bars and clubs will stay open well beyond the call of duty if the need arises, but by the same benchmark will happily bolt the doors if business is slow.